On Saturday 5th November 2016 at 10am, Coast FM officially launched. 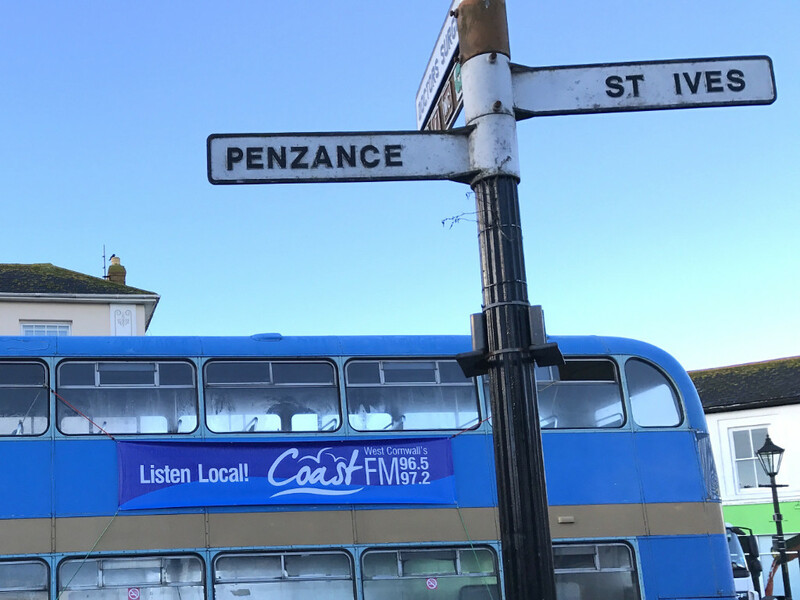 Starting off in Penzance, we toured our Coast FM bus around the town and surrounding areas to spread the word about the launch. We gave out car stickers to those we met, and ran a competition for those who spotted the bus that could text in the number plate. The tour's last point of call was Marazion, ending a great morning. Coast FM was born from Penwith Radio, which was started in 2005 by Chris Goninan and the Penwith 50+ Forum. The station started broadcasting on FM from transmitters in Penzance and St Just in August 2014 and since then has been building its volunteer base and programme schedule. The station is committed to all aspects of social inclusion and environmental sustainability, and aims to encourage the personal development of volunteers, and to respond to the concerns of people in the West Cornwall area.